Watercolor: Make a Date to Paint! Make Your Own Nuno Felted Scarf! 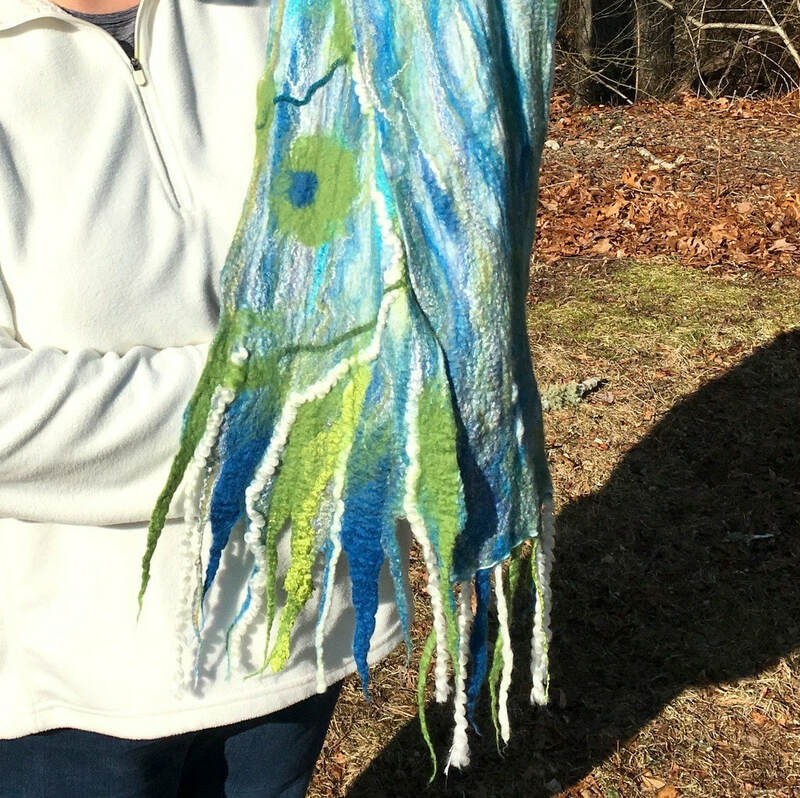 In this beginner-friendly workshop, you will create a one-of-a-kind felted scarf. These beautiful scarves are soft and luxurious and made of the finest merino wools and silks. You will go home with an ocean-themed scarf as well as printed instructions for creating a scarf on your own. Join us for this fun and creative workshop! Annamarie is an artist with a passion for felting, weaving, and painting. Her themes are centered on the love of nature and animals. She likes the tactile and malleable nature of wool, and happily creates felted paintings, soaps, coasters, animals, flowers, and more. Making woven wall hangings has been a delightful pursuit as well. She lives in East Falmouth with her husband, Jason, with whom they run an Etsy business, “Bear, Moose and Bunny”. She has a degree in Art Education from UMass Dartmouth. Her greatest joy of all is sharing the creative process with others!